Synopsis: A retired San Francisco detective suffering from acrophobia investigates the strange activities of an old friend’s wife, all the while becoming dangerously obsessed with her. An unexpected thing happened in 2012. Citizen Kane, which had sat atop the decennial Sight & Sound poll of cinema’s greatest movies for half-a-century, was ousted from its seemingly immovable position by Alfred Hitchcock’s Vertigo. Hitchcock’s movie received mixed reviews on its release in 1958 and was only a modest box office success. Hitchcock blamed his leads — the 49-year-old Jimmy Stewart (It’s a Wonderful Life, Rear Window) was too old to play opposite the 25-year-old Kim Novak (5 Against the House, The White Buffalo), he said — and never employed Stewart as his leading man again. The film was largely unseen for a long time due to copyright wrangles, and when it re-emerged sometime in the 1980s, its reassessment as a genuine classic began. Ferguson is a cop, retired from the force after developing acrophobia following an attack of vertigo during the rooftop chase of a suspect which cost another officer his life. Behind Stewart’s typically amiable personality, Ferguson is a damaged man, suddenly cast adrift, a wanderer. He receives an offer of work from an old friend, Gavin Elster (Tom Helmore), who believes his wife, who suffers from black-outs, may be possessed by the spirit of a dead woman. Ferguson reluctantly accepts the offer, and, in a dreamlike sequence, follows Madeleine Elster (Novak) as she wanders the city of San Francisco. As he does so, Freguson grows increasingly fixated upon her, and when Madeleine, in an apparent trance, throws herself into San Francisco bay, he rescues her and takes her back to his apartment. Although Madeleine is clearly troubled, a romantic attachment develops between them. However their relationship abruptly ends when Madeleine apparently commits suicide by jumping from a bell tower. Ferguson is a witness to her death, seeing her body fall past a window as he stands on the steep tower steps, paralysed by another debilitating bout of vertigo. 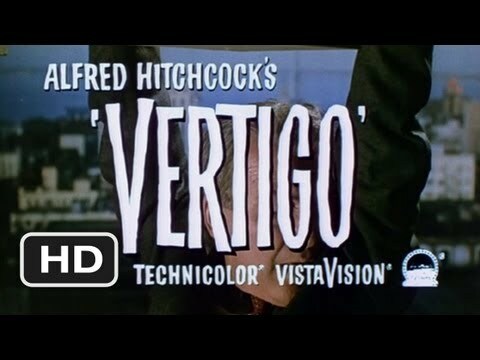 Does Vertigo deserve the status of the world’s greatest film? That’s not for any individual to say. It’s probably up there, though, and is certainly more psychologically complex than the film it replaced at the top of Sight & Sound’s poll. 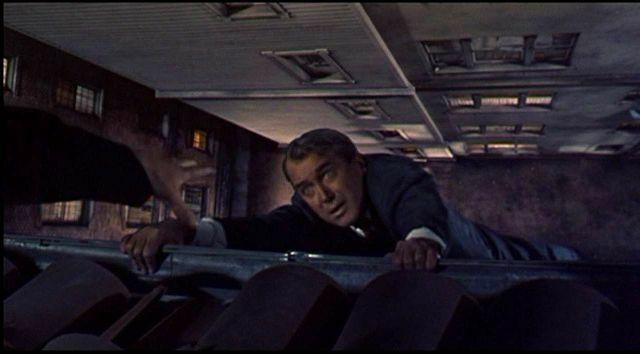 Vertigo is rich with symbolism, from the bun in Madeleine’s hair, reminiscent of a spiral which itself suggests the descent into madness, to the Coit Tower jutting into the blue California sky as Ferguson and Madeleine talk the day after he pulled her from the bay (it’s both a mocking suggestion of Ferguson’s inexperience with women, and his possible impotence). Even Ferguson’s shadowing of Madeleine as she drives around San Francisco, leading him as if into a maze — and always downwards – is loaded with symbolism. Many of these details are the kind of thing it’s easy to miss on a first viewing, so repeated viewings are crucial if you really want to understand just how deeply into Ferguson’s damaged psyche Hitchcock actually ventured. Hitchcock was critical of Novak’s performance, but it’s difficult to fault her in the dual role of Madeleine Elster and Judy Barton. It’s a problematic role for any actress to play: multi-layered, a role within a role. Although Stewart’s character carries the bulk of the psychological burden, the demands on Novak call upon her to fool not only Ferguson but the watching audience. Sometimes, when we watch Madeleine speaking, it’s Judy that is talking, and not only does Novak’s performance have to convince when we first watch her, but it then has to work on another level when we realise that the words Madeleine speaks are actually spoken by Judy, and that the emotions that prompt the words are Judy’s alone. Listen closely, and those cultured tones of Madeleine sound just a little too perfect, a little too practiced. Watch Vertigo, and then watch it again. A week later, watch it a third time – and then maybe every eighteen months or so after that. You’ll be glad you did every time.